Overview - You've never seen anything like Sunshine, the stunningly original sci-fi action-adventure from groundbreaking director Danny Boyle. It is the year 2057, the sun is dying and mankind faces extinction. Earth’s last hope rests with a courageous crew of eight men and women on a mission to ignite the fading star with a massive nuclear weapon. Deep into their voyage, out of radio contact with Earth, their mission begins to unravel and they find themselves fighting not only for their lives, but for the future of us all. There are two kinds of science fiction films. Those that really are really just old-fashioned serials with newfangled special effects (sorry, George Lucas), and those that truly attempt to imagine an alternate future. Don’t get me wrong -- I enjoy lightsaber fights as much as the next guy, but even the most flawed sci-fi film can be rewarding if its filmmakers make a genuine attempt to challenge our notions of where humanity might be headed, while the best examples of the genre ('2001,' 'Blade Runner') fall squarely into this category of "thinking persons sci-fi." Danny Boyle's 'Sunshine' is a film that earns this distinction. Working with screenwriter Alex Garland, Boyle has crafted that true rarity of the genre -- an story not based on a novel or other known source material, but one that remains classic sci-fi through-and-through. 'Sunshine' may ultimately be an imperfect film, but for most of its riveting 107-minute runtime, it's brimming with ideas and excitement, and it has moments that are simply sublime in their balancing of action, exploration and otherworldly wonder. Our tale begins fifty years in the future. The sun is burning out at an accelerated rate, which will spell the end of mankind and any hope for life in our galaxy. A team of astronauts and researchers are sent on a spaceship called the Icarus to inject a massive bomb in the sun in order to give it a much-needed burst of solar energy. Unfortunately, the mission is not successful, and the ship is never heard from again. Enter the Icarus II and a new crew, with the same mission. Once again, things quickly go awry, as the Icarus II receives a message from its supposedly deceased predecessor, and a series of incidents begin to suggest that something may not be entirely right with the known fabric of time and space. Boyle also proves with 'Sunshine' that he is a filmmaker who continues to grow in his technical prowess and stylistic acumen. 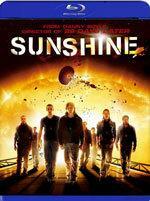 'Sunshine' boasts terrific special effects, but Boyle is adept at never letting them overwhelm the story. Likewise, the film’s technology is not overdone to the point where we can't buy that it's only fifty years in the future. Boyle is also the rare filmmaker who truly understands how to integrate music with precision into his narrative, and the near-hypnotic score by Underworld is almost like another character in the movie. The combined effect of the visuals, the music and the production design is, at times, transformative. Alas, 'Sunshine' misses it shot at true greatness with its resolution. The third act of the film has polarized critics and audiences, with many ultimately overwhelmed with confusion. Sadly, I have to agree. I wouldn't dream of ruining any of the film's surprises, but I will say that my suspicions early in the picture turned out to be largely accurate, and I was disappointed that I wasn't truly surprised by the climax. I wish Boyle and Garland had refused to tie up the film in such a neat, pat manner. Films like '2001' remain so indelible because they pose more questions than they answer, and 'Sunshine' would have likely been a better film had it taken this route. Still, this remains the rare modern sci-fi film that actually made me think, and for that reason alone, it earns my heartfelt recommendation. 'Sunshine' comes to Blu-ray in a spiffy 1080p/AVC MPEG-4 transfer, framed at 2.35:1. It's another fine new release from Fox, and coming off of such other recent A-list efforts as 'Live Free or Die Hard' and 'The Simpsons Movie,' the studio definitely seems to be on a winning streak. 'Sunshine' is a somewhat stylized film, but it’s not so processed that realism is sacrificed. The print is clean, though grain is sometimes obvious and inconsistent in its intensity. Colors are muted in some aspects (mostly skintones, which look a purposefully sickly green), while flashes of yellow, orange and green are much more saturated and striking. Stability is very good, with little oversaturation or chroma noise. 'Sunshine' has a nicely detailed look, particularly in close-ups, with fine textures clearly visible and good depth even to long shots filled with CGI. Blacks are nice and tight, with contrast well-balanced across the entire grayscale, resulting in very good shadow delineation. 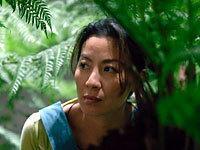 Keeping 'Sunshine' from my top tier of favorite Blu-ray releases is some persistent noise. It's most obvious on solid white patches, and there's enough of it that it can be distracting. The image also looks a bit flatter in the mid-range, which lessens three-dimensionality, and prevents the kind of "pop" common to the very best high-def transfers I've seen. At least there are no major compression artifacts (such as banding or macroblocking). Overall, 'Sunshine' stands tall as a very fine, very striking high-def presentation. Let me say right up front that I was disappointed that the film's sound designers weren't more audacious with the surrounds. There are some beautifully lyrical passages in 'Sunshine,' which are accompanied by all sorts of ethereal sound effects and a hypnotic score by the band Underworld. Alas, the mix is just too front heavy. The rears just never come alive with sustained ambiance or tension. Since the film is also more of a mood piece than an action film a la 'ALIENS,' that means that only the most aggressive moments feature any noticeable discrete effects. That said, when all cylinders are firing, 'Sunshine' is first-rate. Dynamics are forceful, and the clarity and cleanliness of the recording is excellent. Low bass moves the subwoofer nicely, and dialogue is never sacrificed for sledgehammer bombast. I was also really impressed by how the score almost floats out of the front speakers -- if only the same effect filled up the complete 360-degree soundfield, 'Sunshine' would have been a five-star experience. Continuing to support day-and-date releases on Blu-ray, 'Sunshine' is hitting stores simultaneously with the standard DVD. This high-def version shares all the same extras as the DVD (and even throws in some great exclusives -- see the section below for those), so there is no concern about missing out. Even without the Blu-ray exclusive material, this would be a fine package in its own right, and one that doesn't sacrifice flash for substance. Audio Commentaries - There are two separate tracks on the disc, both solo commentaries. The first is with director Danny Boyle, who is apparently quite obsessed with technical minutia. I half-expected him to start discussing focal lengths and split diopters. Thankfully, he does balance it out (more so towards the conclusion of the track) with some comments on the film's themes, especially the more confusing aspects of the story’s climax. The second track is certainly unique, and I found it to be a most pleasant surprise. Featuring Dr. Brian Cox of the University of Manchester (was also the film's technical advisor), I braced myself for endless dry discussion of the film's science and metaphysics. But Cox is an engaging, affable speaker, and rather than coming off as some boring science professor, he remains engaging throughout. I found it fascinating to hear a sci-fi flick deconstructed in a logical, understandable way, and Cox is even chipper while pointing out minor inaccuracies in the film's technology. This track won’t be for everyone, but I thoroughly enjoyed it. Deleted Scenes (SD, 13 minutes) - There are seven "scenes" in all, though a couple are really just spliced together extensions of existing material. Boyle provides optional commentary, which is helpful, particularly on a couple of scenes that clarify some of the more confusing points in the movie (they arguably should have been left in). Note that while this material is formatted for 16:9 screens, it’s presented in 480p/AVC MPEG-4 video only. Web Production Diaries (SD, 38 minutes) - Originally produced for the internet to help prime the promotional pump leading up to the film's theatrical release, there are 23 “diary entries” in all. 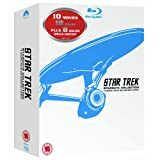 It's mostly fly-on-the-wall stuff, with lots of pre-production footage of the cast, a look at each of the main characters, and some footage showing Boyle at work (including a montage of all the actors praising him to the high heavens). Despite the length of the material, its scattershot nature can’t compare to a true making-of documentary. Typical of shot-for-the-web footage, it's all presented in 480i/AVC MPEG-4video only. Short Films (SD, 12 minutes) - A bit of an oddity. Boyle admits in his intro to these short films have nothing to do with him or ‘Sunshine’ -- he's simply using the DVD (er, Blu-ray) format as a vehicle to showcase the work of filmmakers who wouldn't get the shot otherwise. Luckily, the two shorts themselves -- "Dad's Dead" and "Molehills" -- are quite good, and worth watching for fans of the form. 'Sunshine' is an intriguing sci-fi thriller full of grand visuals and big ideas. Like many critics, I found the film’s climax a disappointment, but this one’s still a thought-provoking trip well worth taking. Fox has done a very fine job in bringing the film to Blu-ray. The transfer is quite good, and the extras -- including the studio's first-ever Profile 1.1-enabled picture-in-picture commentary -- are informative and entertaining. I could have used a better, bolder soundtrack, but all in all, 'Sunshine' is a winner on Blu-ray.